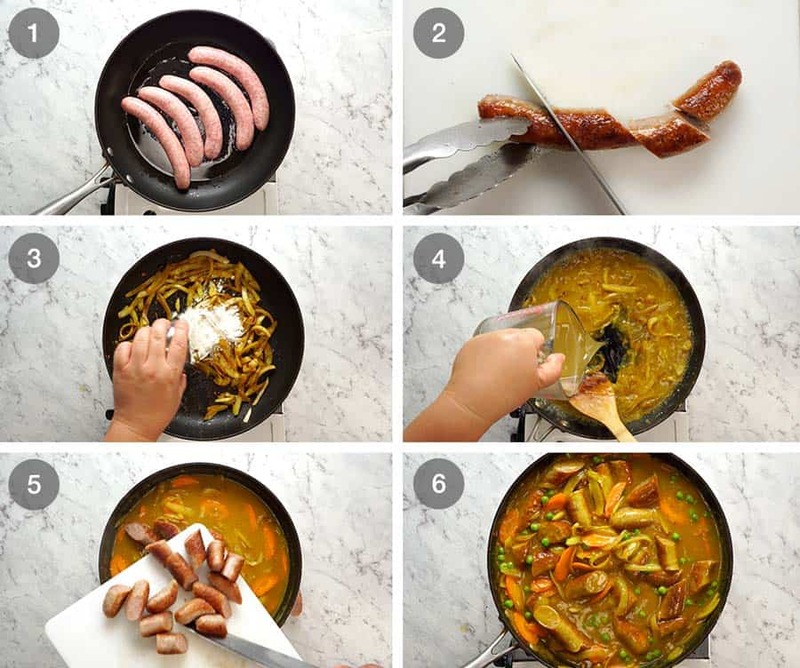 You will also find some old-school recipes that call for the sausages to be boiled instead of browned. That made me want to cry! Recipe video above. A retro classic! 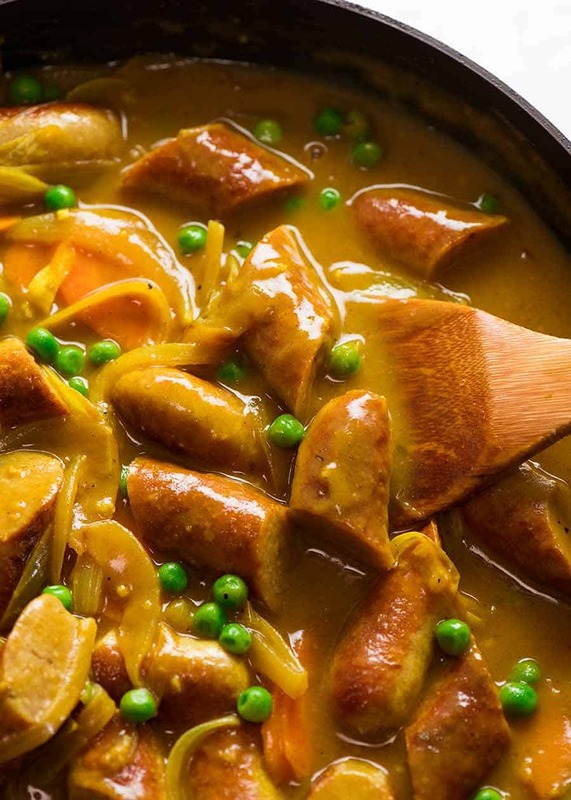 Browned sausages smothered in a curry flavoured gravy with onions, carrots and peas. Feel free to add even more vegetables! 1. 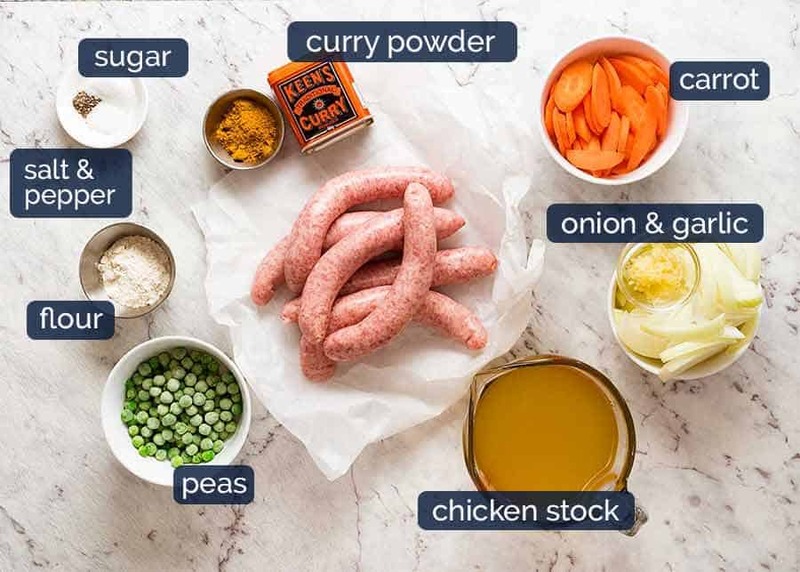 Sausages – Pork sausages pictured. Try to get good ones that aren’t packed with fillers. As a general rule of thumb, if the sausages are a uniform pink colour, they have lots of fillers in them. 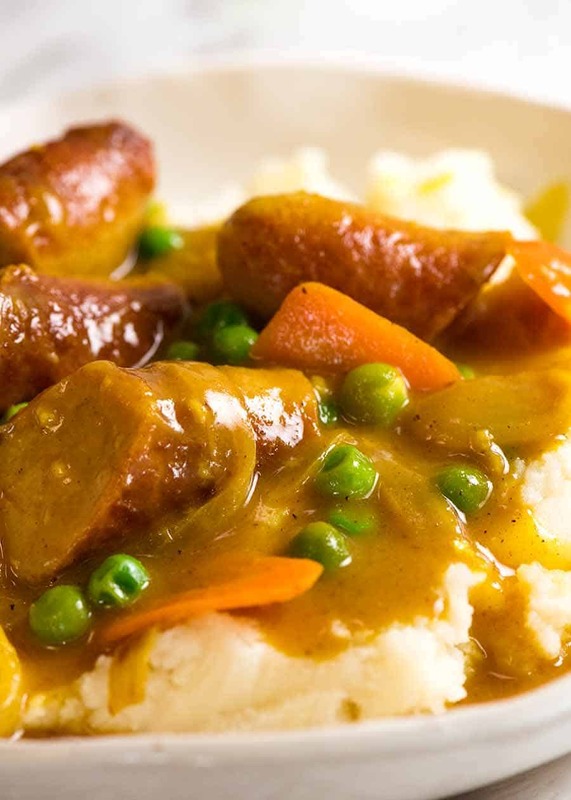 Look for sausages that have chunky bits of meat and fat in them – these are better flavour. 2. 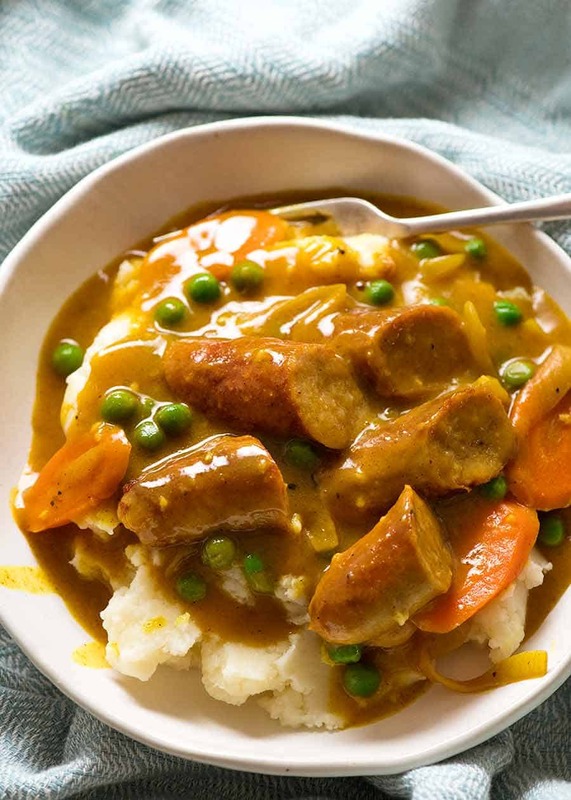 Curry Powder – I use Keens, mild. Use HOT if you can handle the heat! 3. Gluten free option – skip the flour. Mix 2 tbsp cornflour/cornstarch with 2 tbsp water. Add straight after adding stock – sauce will thicken as it simmers. 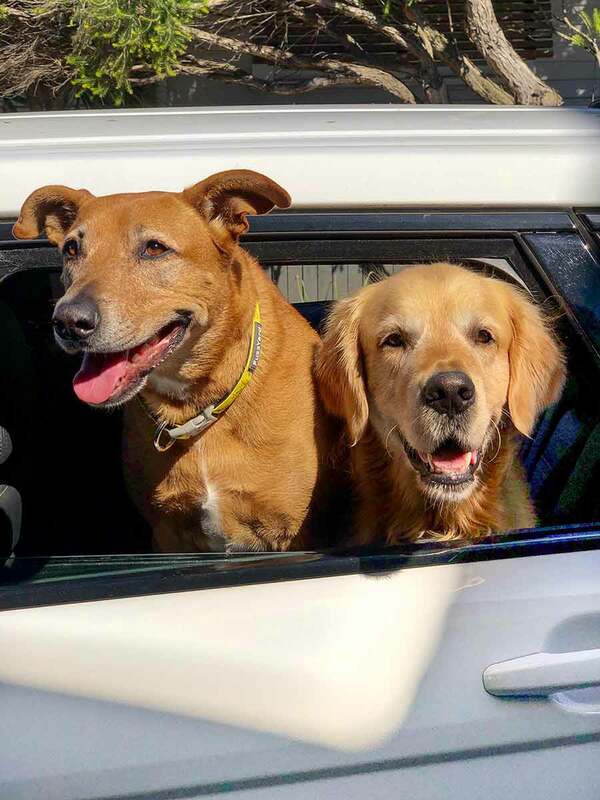 Meet Dozer’s girlfriend – Jarrah! 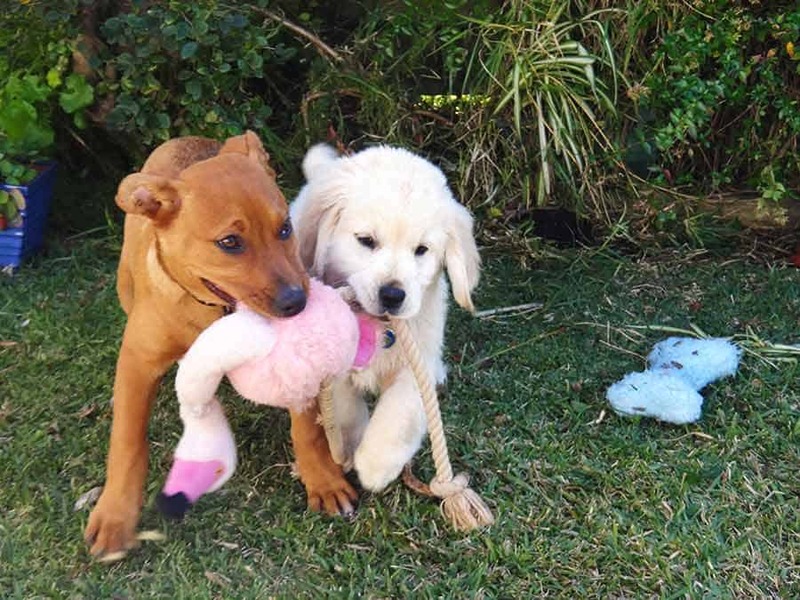 Jarrah is a rescue who belongs to a good friend. We’re not quite sure what breed she is but what I can tell you for sure is that she’s MUCH better behaved than Dozer, she’s smarter, faster and Dozer is very lucky to have her as his best friend/girlfriend. 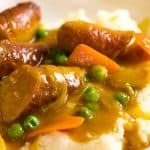 The post Curried Sausages appeared first on RecipeTin Eats.